Disclaimer* The patient and any other person responsible for payment has a right to refuse pay, cancel payment or any other service, examination, or treatment which is performed as a result of and within 72 hours of responding to the advertisement for the free, discounted fee, or reduced fee service, examination or treatment. This offer is invalid when workers’ compensation, medicare, in network insurance agreement, and/or automotive insurance laws govern payment of treatment by these carriers. This advertisement represents up to a $323 value which may be used for your first visit which can include x-rays. Not redeemable for cash. X-rays taken only if necessary. 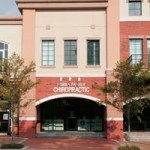 We are located in the beautiful Winter Springs Town Center, 1 Block north or the Zoo Health Club. From the Corner of Tuskawilla Road and 434, simply take Tuskawilla road north into the town center. We will be 1/2 Block north on the left.